Hospice Georgian Triangle, a registered charity, provides trained volunteer and professional care and support to individuals living with life-threatening illness or in their last stages of living, to their families and to the bereaved. HGT began in 1987 as an all-volunteer, community-based visiting program providing non-medical support to those living with a life-threatening illness, or at the end-of-life, and to their families. In 2000, two respite suites were established in the Collingwood General and Marine Hospital to address the need to provide increased respite for the caregiver. Subsequently, the respite suites were moved to Sunset Manor. Campbell House, a stand-alone facility with six residential suites, opened in August 2014. Our expanded premises, with an additional four residential suites (currently unopened awaiting funding), day program rooms and family kitchen opened in April 2017. The North Simcoe-Muskoka Local Health Integration Network funds approximately 50% of our costs, and while Hospice Georgian Triangle does not charge a fee for services, its programs are made possible only through the generous donations of people like you. Names, positions and email addresses are available by clicking here. 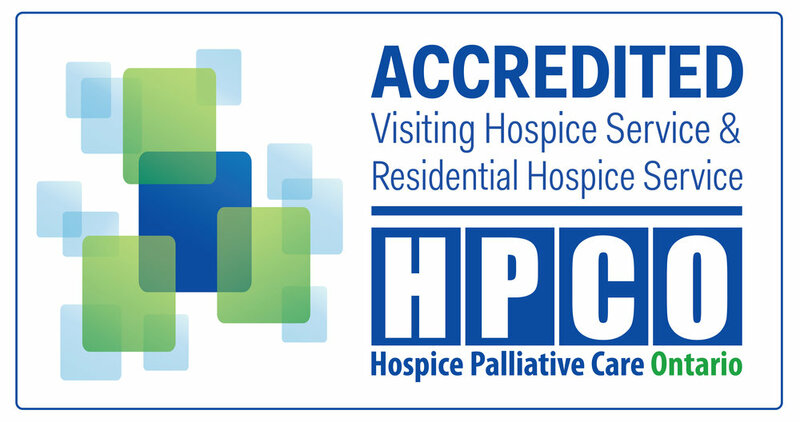 If you are interested in obtaining further information about hospice and related organizations, please click here. Main Kitchen - patient meals are prepared daily by our Kitchen Angels, and a light lunch for family and visitors. Lots of goodies are made here! Campbell House will work with you, your family and your family doctor to care for your physical, emotional and spiritual needs. Care is provided 24 hours a day, seven days a week, by a professional clinical team comprising of a Medical Director, a team of palliative trained Registered Nurses (RNs), Registered Practical Nurses (RPNs), Personal Support Workers (PSWs) and other health care professionals. We have access to 'on-call' clergy that we can contact on your behalf. Trained volunteers are an integral part of our team - available to provide companionship, to allow family members respite, and to provide vigil support. We also offer individual and group bereavement support to help you cope both before and after death. Campbell House has six private patient suites, each equipped with its own washroom. Each suite features a mini fridge, cable TV, phone and wi-fi service. There is a pull-out bed for any family member wishing to stay overnight (if more than one family member wishes to stay overnight, please check with staff as our ability to accommodate multiple family members is sometimes restricted). Campbell House has a spa room which includes a large whirlpool tub and a shower room allowing for patients to be bathed in a fully reclining bath chair. Our home-like setting also includes large, open living rooms available for gatherings, dining rooms for family meals, a family kitchen and a quiet room. Our Main Kitchen is completely run by caring volunteers, specifically trained in Food Handling and Hand Hygiene. These volunteers prepare meals daily for patients, and a light lunch for visiting family and friends, all at no cost. Family members are also welcome to bring in favourite foods and use our separate Family Kitchen which is equipped with a microwave, toaster oven, fridge/freezer and dishwasher. Hot beverages and 'goodies' are always available, and provided free, throughout our home. We welcome cash donations and grocery-store gift cards to help support our kitchen. At Campbell House, family and friends are an important part of the patient's circle of care. We also welcome pets, in fact our team loves dogs! Our Reception Desk is staffed between 9:00 a.m. and 8:00 p.m but visitors are welcome at any time. When you arrive, our receptionist will check with the clinical staff to see if it is a suitable time for your visit; please note that you may have to wait while the patient is being attended to by staff. If it is not an appropriate time for you to visit, a nurse will come and speak with you. You may call ahead of your visit too (705 444 2555). We take great care and pride in ensuring our home is a safe environment for our vulnerable patients, visitors, staff and volunteers. We respectfully ask that you help us maintain Campbell House's high standards of hygiene during your visit and take any additional precautions advised to you by our staff. Cup of Comfort - support is provided to caregivers and families of patients in Campbell House through this informal 'tea'. Music - come relax in our Great Room and listen to Catherine play some soothing tunes. Pet Therapy - Angela and our 'furry therapists' Frankie and Mr. Smith from Therapeutic Paws of Canada raise the spirits of our patients, families, staff and volunteers on their weekly visits. Poetry and Legacy Work - unleash the healing power of poetry. Listen to poetry being read with or without music, primarily as a meditative, restorative, non-physical intervention. You will also be offered the opportunity to write poetry, or create a meaningful legacy, as a means of expressing what's being felt and experienced now and during the final stage of life. If you feel Campbell House may be right for you and your family, please talk to your physician or Home and Community Care Case Manager. Alternatively, call our Clinical Services Coordinator at 705-444-2555 ext. 7525 for more information. 2018 saw the launch of a new initiative, the South Georgian Bay Shared Care Team - designed to support palliative patients earlier in their disease trajectory, this initiative is headed by Dr. Alyssa Boyd, NSM Lead Palliative Physician and Campbell House Medical Director. Check out our video to learn more. We believe that palliative care is not just about care in the last days and hours of life, but about ensuring quality of life for individuals and their carers at every stage of a life-limiting illness from diagnosis onwards. Continuity of care is a hallmark of our delivery of service. From the time of a life-limiting diagnosis up to 12 months following death, support is provided to address the practical, emotional, psychological and spiritual needs of individuals, their families and carers. In all situations, we afford individuals the time, privacy and opportunity to talk through their fears and anxieties. With this support, people often feel that they can take more control of their situation and draw on their own personal resilience and ability to work towards the goals which are important to them. Our Lighthouse Integrated Care program provides individuals living with a life-limiting illness, one point of entry to the palliative care system. We connect with each individual personally and assign a Navigator who will accompany the individual on their disease journey; providing support, information and resources along the way. As the primary contact, the Navigator ensures that the individual gets the most appropriate services to keep them safe and comfortable at home. The Navigator is a familiar person to connect with in regard needs, concerns or questions. We also offer Peer Support Volunteers with the knowledge and skills to provide emotional and social support, and caregiver respite. Chronic Disease/Pain Self-Management Programs - two facilitated programs (6 weeks duration, registration required) that help adults with chronic health conditions to manage pain, fatigue, healthy eating, physical fitness, and to deal with difficult emotions and depression. Compass Book Club - not your typical book club! This group provides a space to listen, share and discuss... as each member brings forward books and other resources that have impacted them on their disease journey. Grief Support Group - a facilitated program (6 weeks duration, registration required) based around the belief that sharing common experiences and concerns can aid in the healing process. heART Space - when words are not enough, this weekly drop-in provides a space for those who are grieving to express themselves in a different way. Materials will be supplied and there is no experience required. Lighthouse Reflections - a weekly drop-in allowing anyone living with a life-limiting disease to connect with others on a similar health journey. Navigators - our trained Volunteer Navigators provide help in finding community resources and navigating the health system. They check in at least once a month with each client on their caseload. Northern Lights Cancer Support Group - a monthly drop-in for women led by Canadian Cancer Society trained peer facilitators. This group is offered to our community through a partnership with Northern Lights of South Georgian Bay. Peer Support Volunteers - our trained volunteers visit in the home offering a compassionate listening ear, reading, music or legacy work. They also offer respite to caregivers. Practical Skills for Carers - a monthly group for caregivers (registration required) that combines practical skills, education and support. Each session covers a different topic - Mobility, Foods and Fluids, Toileting, Bathing and Oral Care, Body Changes, Infection Prevention and Control, Relaxation Techniques and Planning Ahead - to help you better support yourself and your loved one. All of our programs and services are provided free of charge to those in our community who need us! Our programs are supported by the North Simcoe-Muskoka Local Health Integration Network, the North Simcoe-Muskoka Self-Management Program, qualified Volunteer Therapists and generous donations from our community. "It was great to have a safe place to express my feelings openly along with the support of others who understood what I was going through." "I learned that crying is a very healthy thing to do. Just talking about my loss made it less painful." "I found our discussions with each other very helpful. I left the group with more hope for the future." "I’m sure most others have expressed their gratitude for the awesome, tender-hearted care given their family members while staying with you all. We join our praise with theirs. Words can’t express what you did for our Mom and for us. Please accept our gratitude and know we will never forget our experience at Campbell House." "Approximately three weeks ago, our family spent Christmas Day at Campbell House visiting with our beloved family member. It goes without saying how difficult these past few weeks have been, yet I felt it necessary to let you know how your staff and volunteers helped to make the days a little more bearable. The gentleness, compassion and kindness shown by all went beyond our expectations. To give up Christmas Day with their own families, displayed acts of selflessness by all involved. Collingwood should be so proud of Campbell House, but more specifically, the wonderful people who on a daily basis help to make it such a caring facility. Not one stone has been left unturned, even down to the bird feeders outside each window! Campbell House is a tremendous asset to the community." On May 15, 2015, my wife passed away at Campbell House. Prior to entering Campbell House, she was a patient at the Collingwood General and Marine Hospital, St. Michael's Hospital, Toronto, and the Royal Victoria Hospital, Barrie. These three hospitals provided acceptable care. The care Campbell House provided to her and her family was beyond exceptional. I cannot imagine what it would have been like without Campbell House. After her passing, CH continued to offer support to her family, support I have used and am very grateful to have! Volunteers are the backbone of Hospice Georgian Triangle, gifting many hours of service per month. Our volunteers come from all walks of life. The most prized personality traits of a hospice volunteer are flexibility, compassion, a sense of humour and the ability to listen. No medical background or experience is necessary. Our volunteers are interviewed by our Volunteers Coordinator, have references checked, undergo a Vulnerable Sector Check and Palliative Care Training before they are placed in contact with those in our care. They are key members of our interdisciplinary team and they provide us with support in a variety of roles. So, what is it our volunteers do? Please take the time to fill out our Volunteer Application Form and submit it to our office. Once our office is in receipt of this application we will contact you. Due to the sensitive nature of our work, we are committed to ensuring that all of our volunteers are fully screened and trained prior to working with our clients / patients. This process is extensive and requires a tremendous commitment to all that join our team; it involves submitting an application form, an interview with our Volunteers Coordinator, two reference checks, a Police Vulnerable Sector Check and 30+ hours of Hospice Palliative Care Fundamentals training. Our hospice invests in ongoing professional development, volunteer support and social activities throughout the year. Given that Hospice Georgian Triangle makes a significant investment in the training and support of its volunteers, we ask that all volunteers commit to a minimum 24 hours of volunteering per annum.